Festivals bring a lot of happiness and joy. Millions of people join together to party, dance, drink and celebrate the festive seasons. There are hundreds of cultures and traditions which are celebrated in different ways around the world. 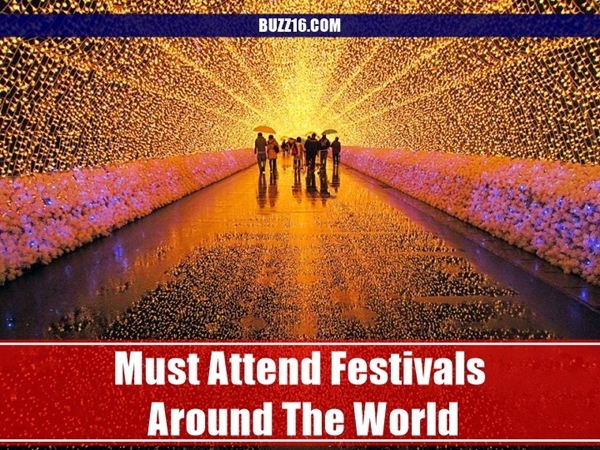 Witness some of the Must attend Festivals around the World and understand more about them. It is the most famous festival and carnival round the world which takes place every year in Brazil. It is estimated that during the carnival almost 2 million people walk on street per day. The first festival took place somewhere around 1823. 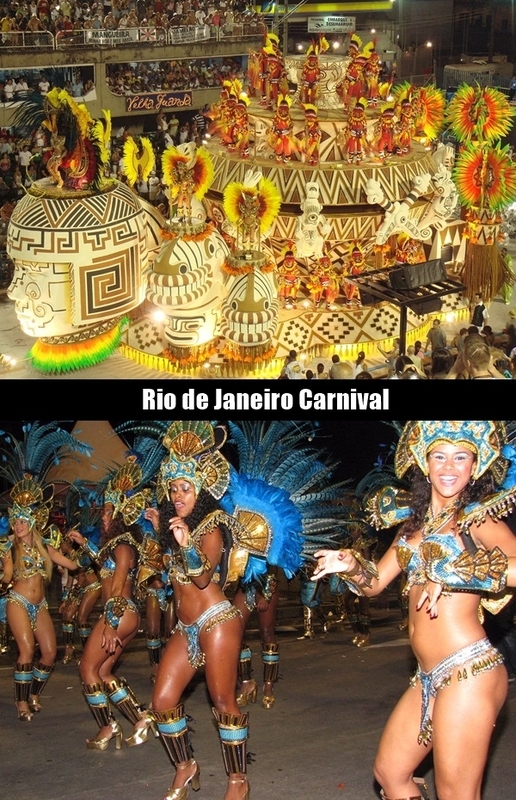 The festival is typical parade which depicts about almost everything about Rio. 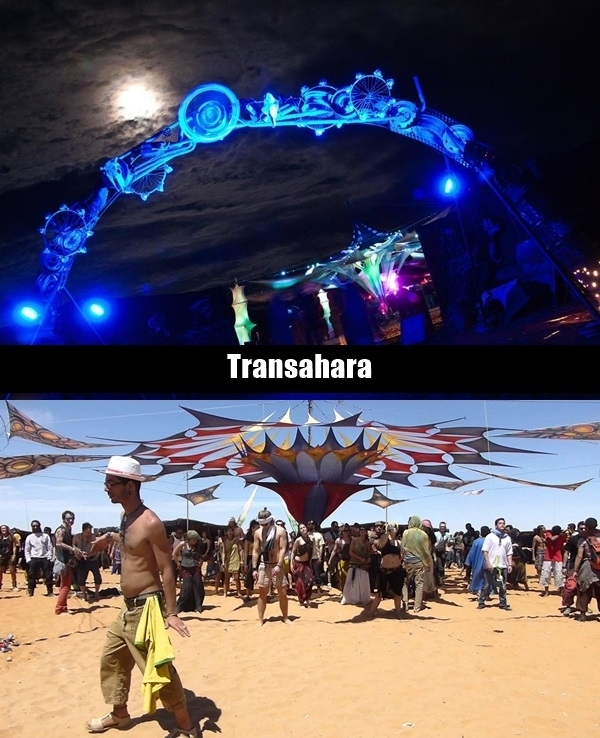 This is a five-day festival which takes place at Sahara Desert in Morocco. This festival generally happens on first five days of the month of April. It is an ultimate experience with splendid arrangements. One gets in touch with music, art and culture over here. 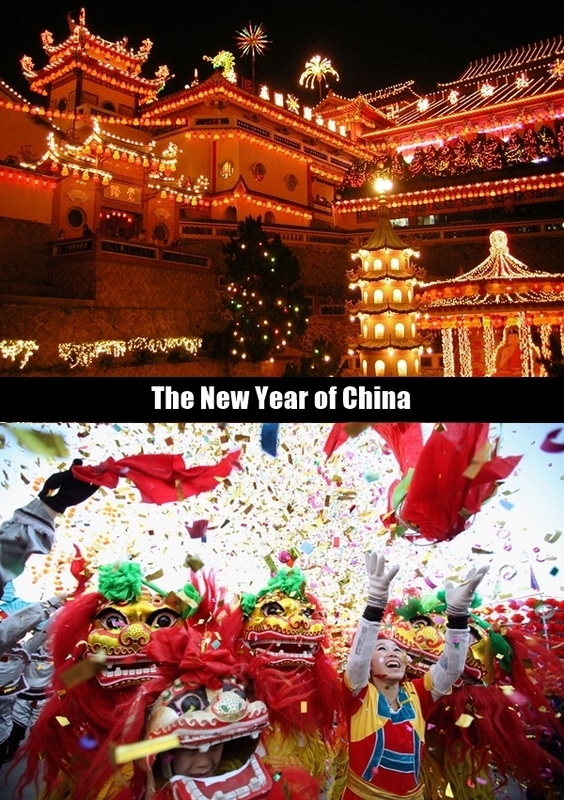 With lights, fireworks, dragons and flowers around, the Chinese new year is celebrates. It is also called as the Spring Festival. 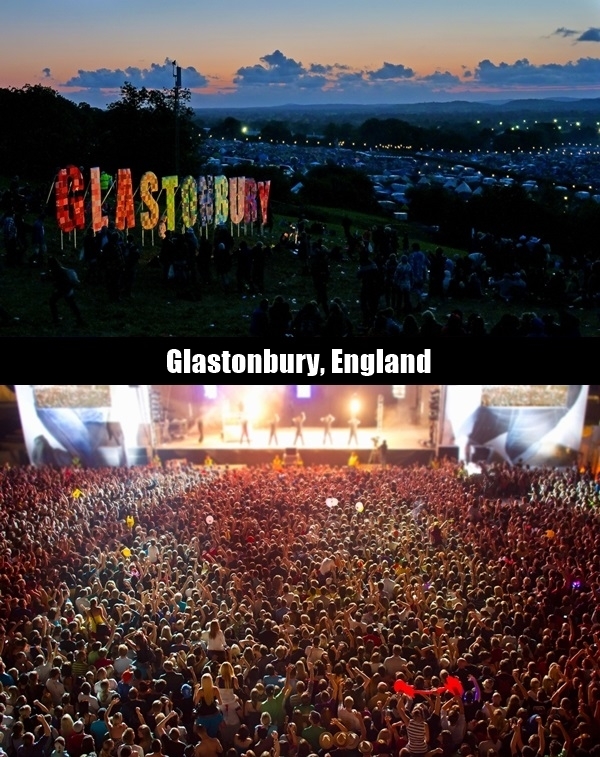 This is the longest festival i.e. from the last day of last month according to Chinese calendar up to the 15th day of the first month which is the lantern festival. The festival is celebrated at Belvedere House in Ireland. It is a sort of Period drama. Celebrated Near the edge of a forest, the festival is simply about taking music forward up to a new thinking. 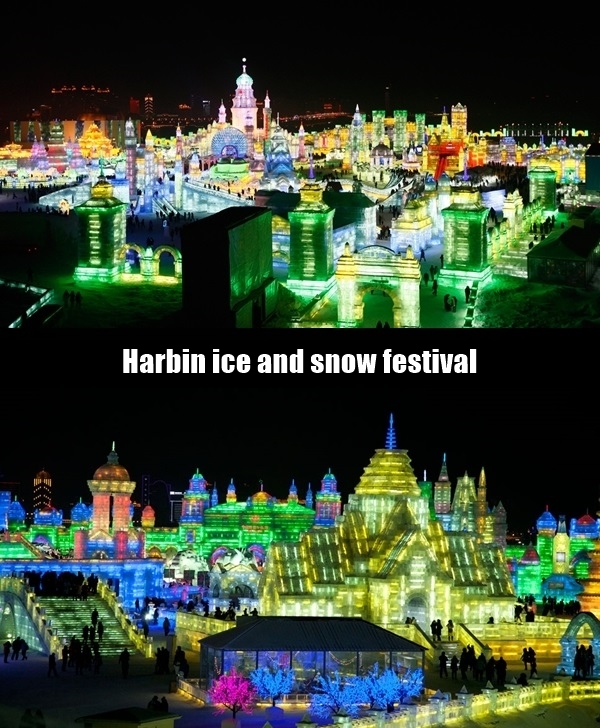 The festival is known for portraying mesmerizing sculptures made of ice and snow. Every year something new is there to watch out. One can only see the phenomena after visiting to this. 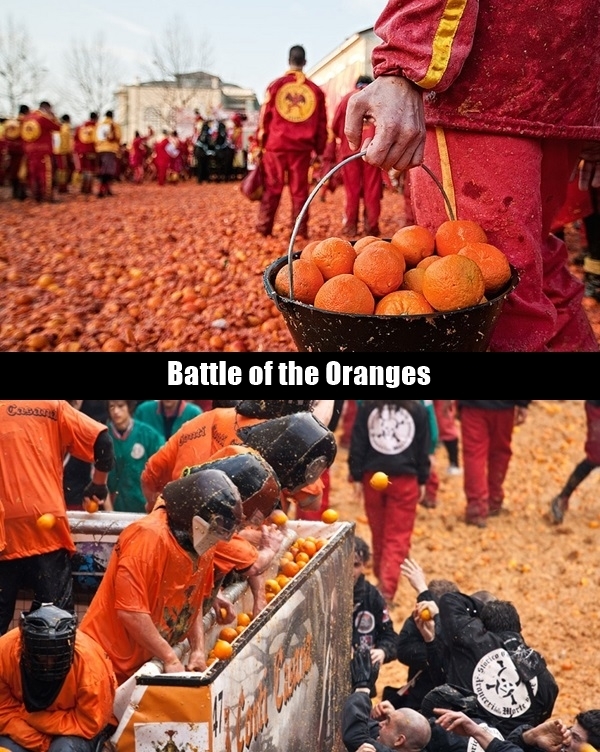 The groups of people throws oranges on each other. It is very exciting to watch people fighting over food in Ivrea, Italy. As the name suggests, it the party of mad people. 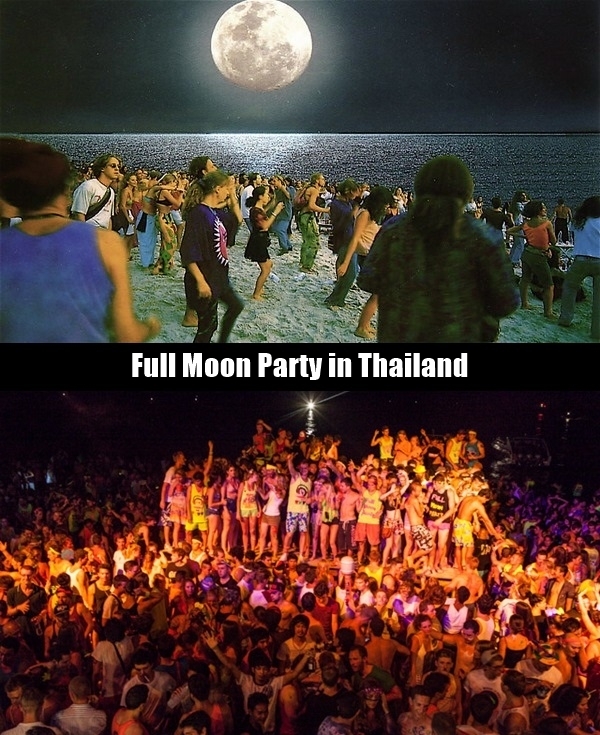 If you have taken birth to party lifelong, then the Head Rin Beach, Koh Phangan in Thailand is your destination. 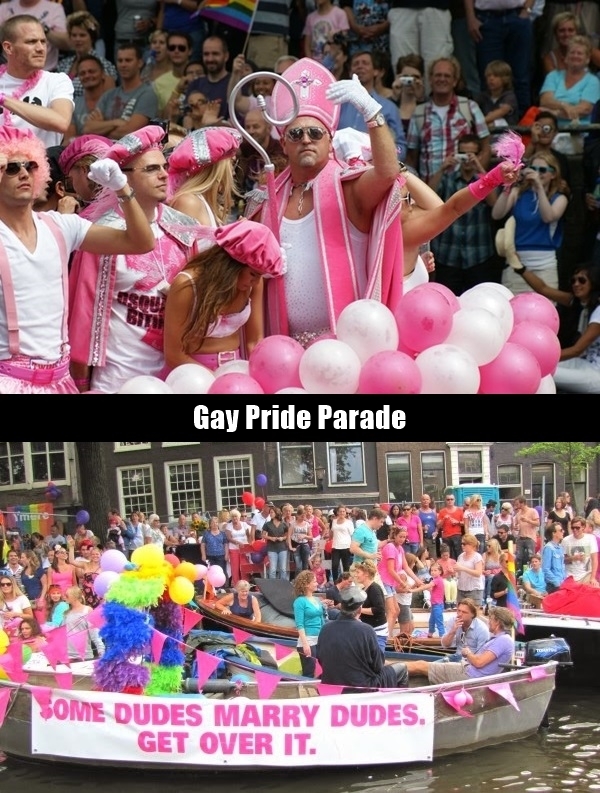 On first weekend of the Month of August, the Gay festival takes place yearly at Amsterdam in Netherlands. Thousands of people gather to watch the city-wide parade. The family fireworks and Midnight Fireworks are the show stealers. 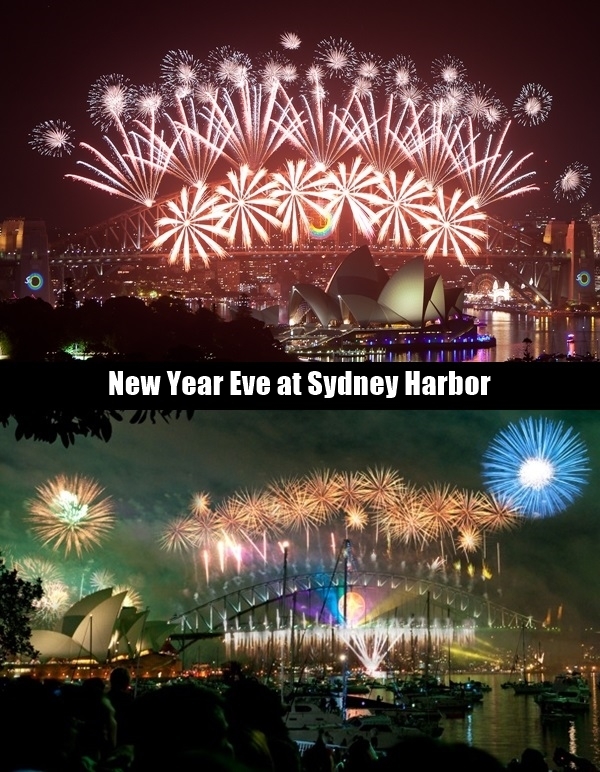 Every year on the New Year’s Eve, it is absolutely stunning to watch the display of fireworks over Sydney harbor. 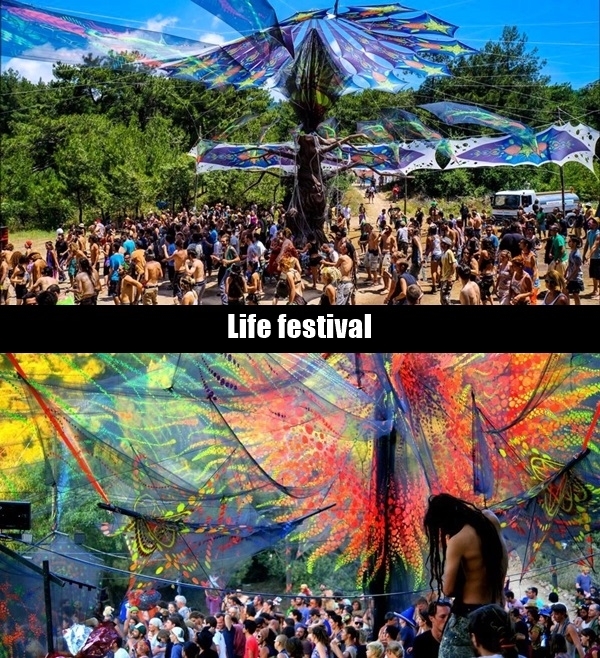 You should go at least for once in your lifetime for this festival. 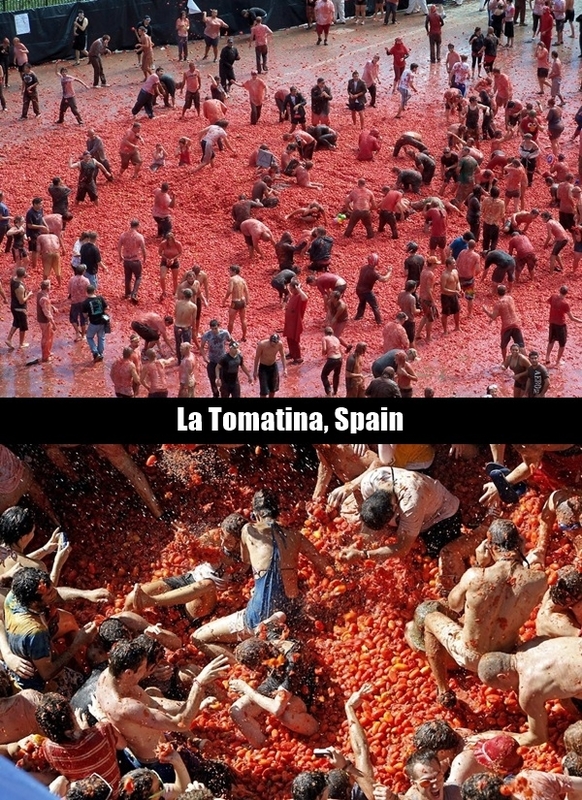 If you want to dance and have loads for fun, then enjoy the tomato fight with water showers. 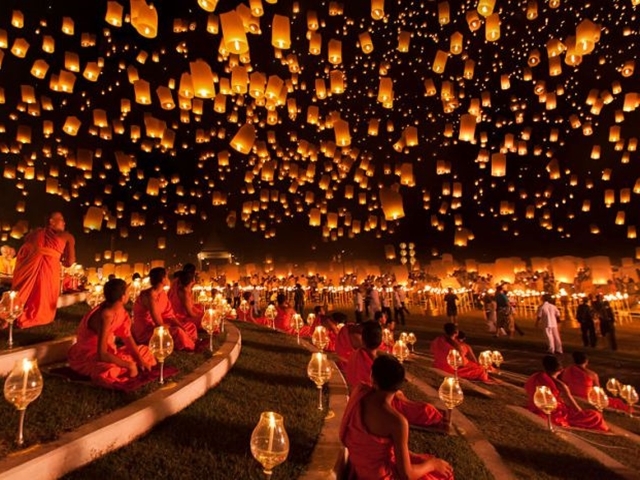 Over thousands of lanterns are released to the sky. This festival was originally celebrated to fight against the evil and diseases. 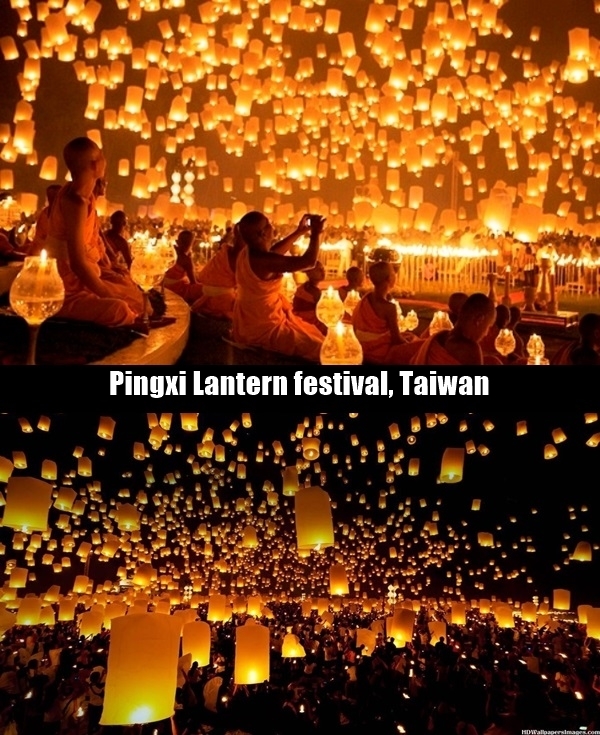 The lanterns carry wishes and images of the people. 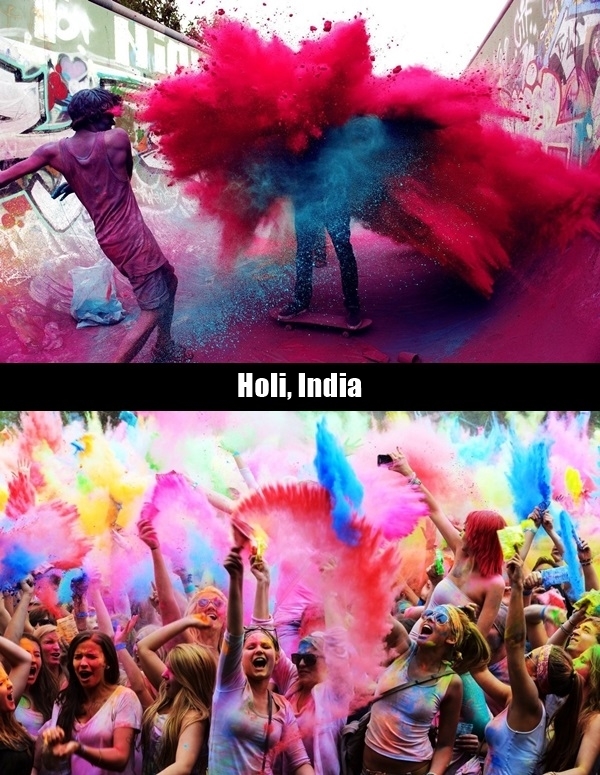 Another must attend festival around the world is Holi festival in India. It is a spring festival and moreover a carnival of colors in which dry colors and colored water are thrown upon each other. People of almost every age enjoy the festival happily. 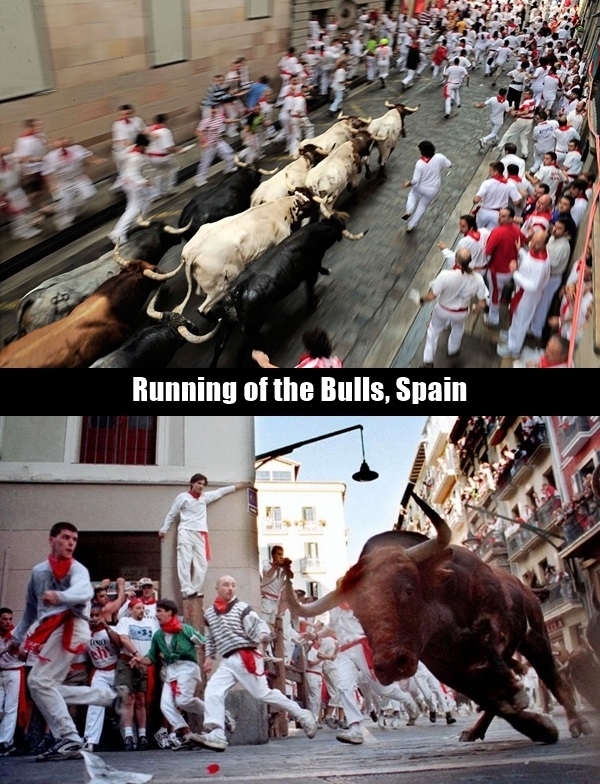 It is really a challenging task yet famous part of San Fermin Festival in Spain. Somewhere around 12 bulls run behind in a small town’s street. Every year 200-300 people get injured while running but the injuries are minor. 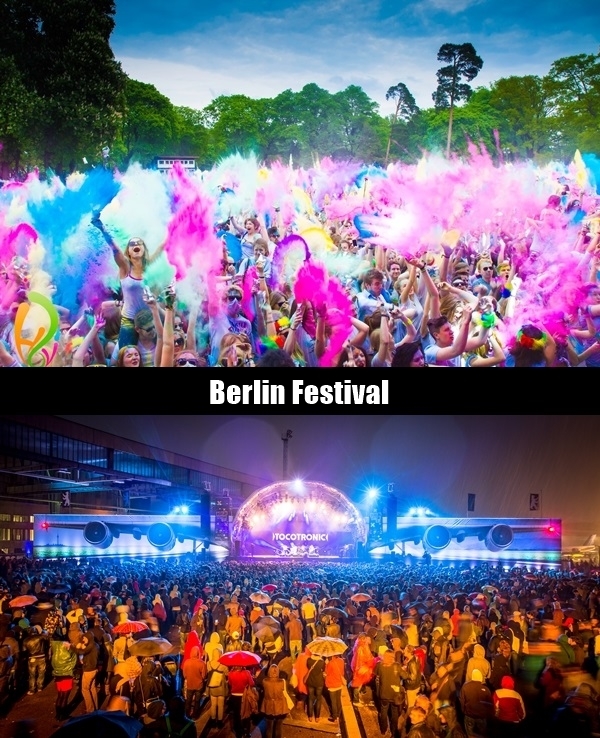 If you are a big music fan, then this festival in Berlin for almost 48 hours would interest you the most and you should discover it at least for once. 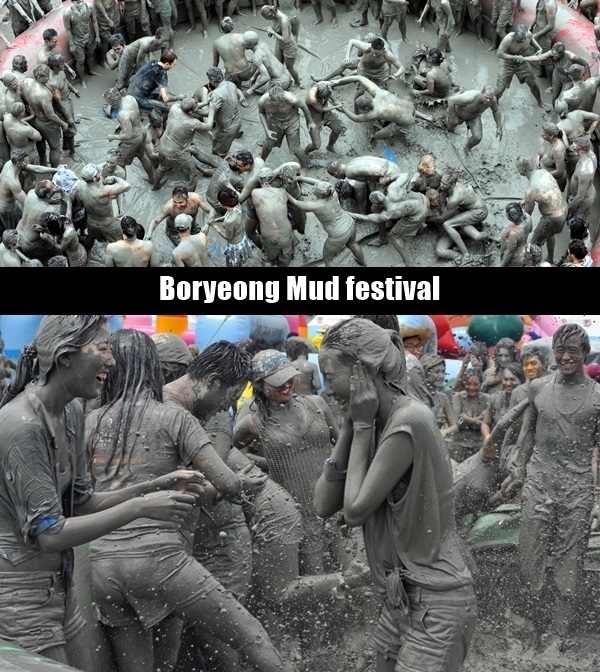 The popular festival in South Korea, every year people enjoy the mud slides, mud pools and skiing over the mud. It is again total madness in Mud. 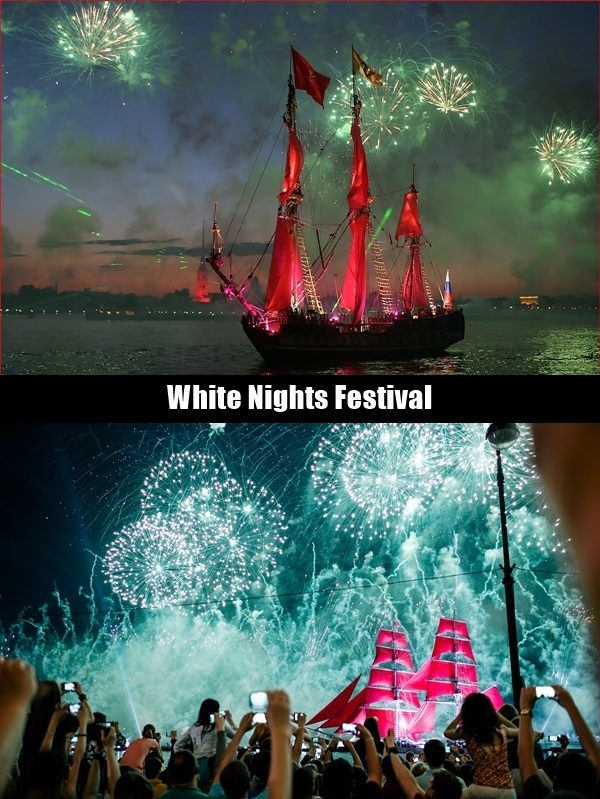 It is an international art festival that takes place every year in St. Petersburg, Russia. The classical ballet, opera music and fabulous performances by Russian dancers are the highlights of the show. 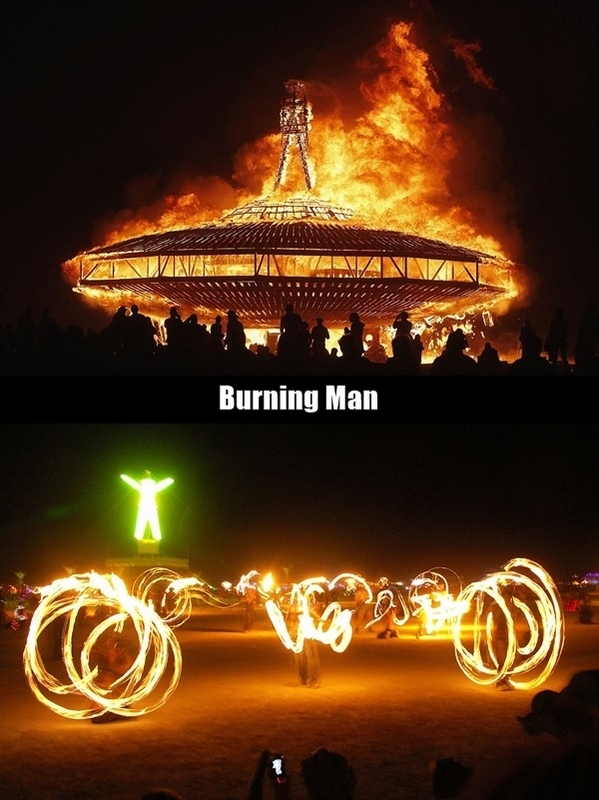 It is an annual event at Black rock desert, Nevada, USA. Around 50,000 people attend the show. It is a radical expression. It is difficult to understand it properly without attending it. 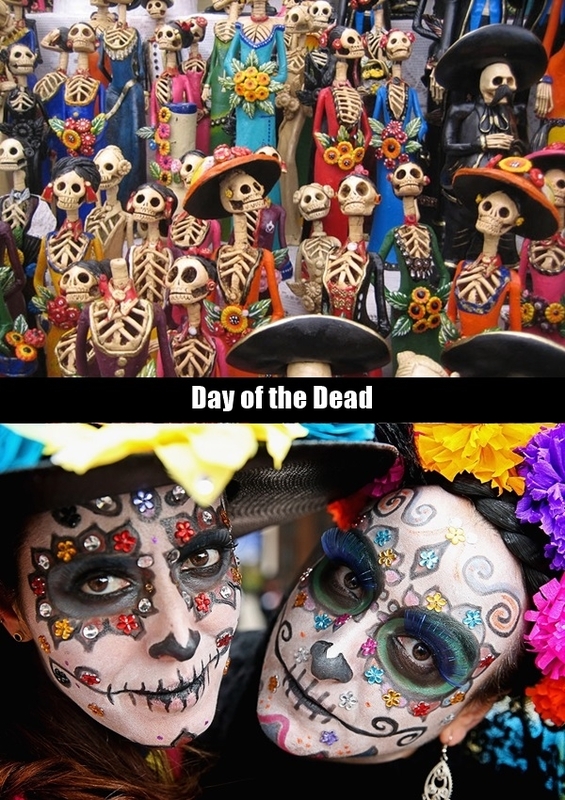 It is celebrated in Mexico. People gather on a day which is a bank holiday and they pray for their friends and relatives who are no more alive. The festival takes place on last Tuesday in the month of January every year. 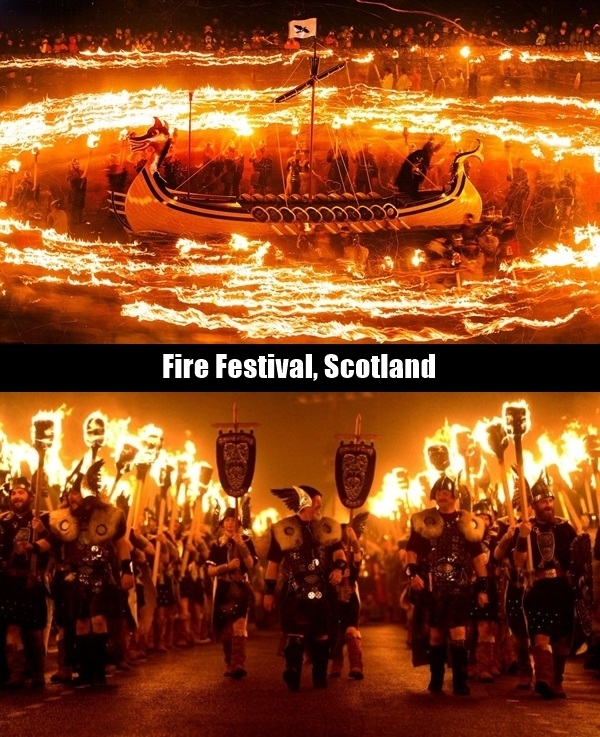 It involves a lot of marches and even burning of a gallery. The concept of carnival is about 900 years old. At that there used to be no boundation. 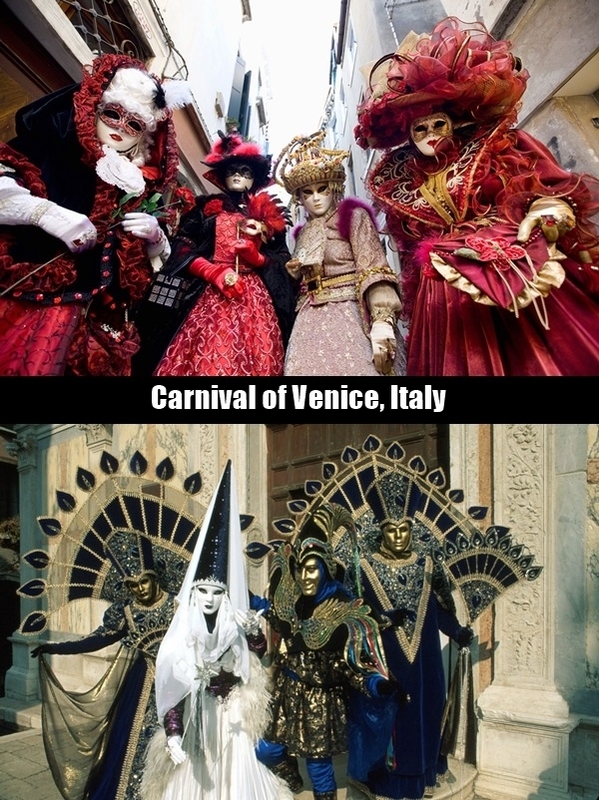 This carnival gives the feeling of a fairy tale where people of Venice and tourists come with a mask put on. 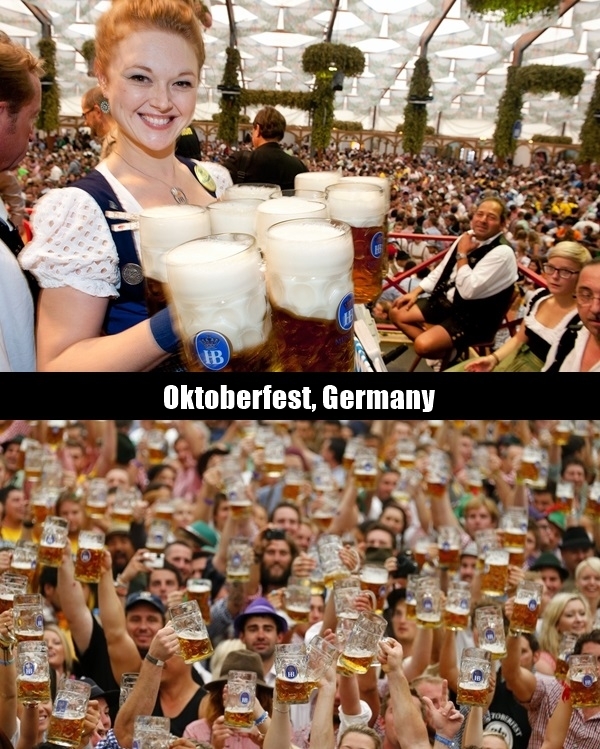 It is the largest beer festival organized in Munich, Germany every year. The festival is observed from the last week of September up to first week of October and lasts up to nearly 16 days. It is all about beer. 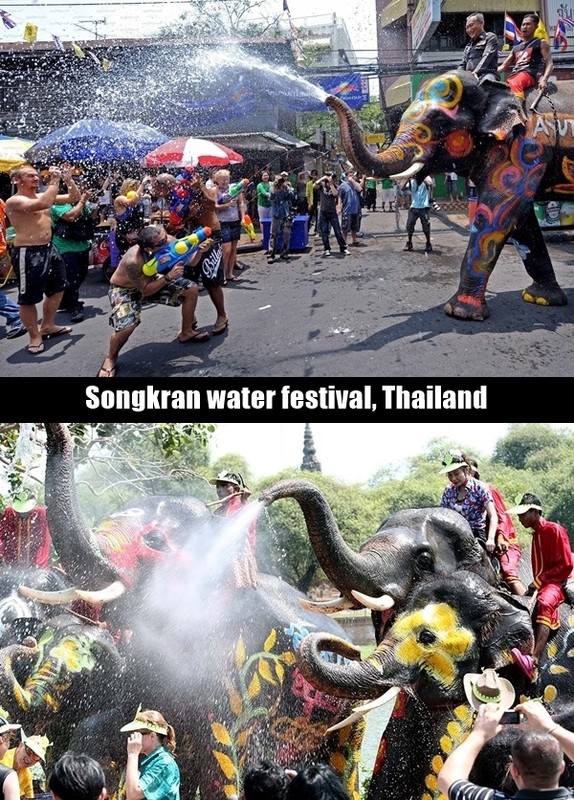 It is celebrated on the hottest days of Thailand. People throw water on each other by way using guns, buckets and other objects as well. It is completely a fun to be a part of this festival. The festival is well known for its music component. Let it be cabaret, circus or contemporary all forms of art can be seen here. It is attended by almost 1,75,000 people every year. 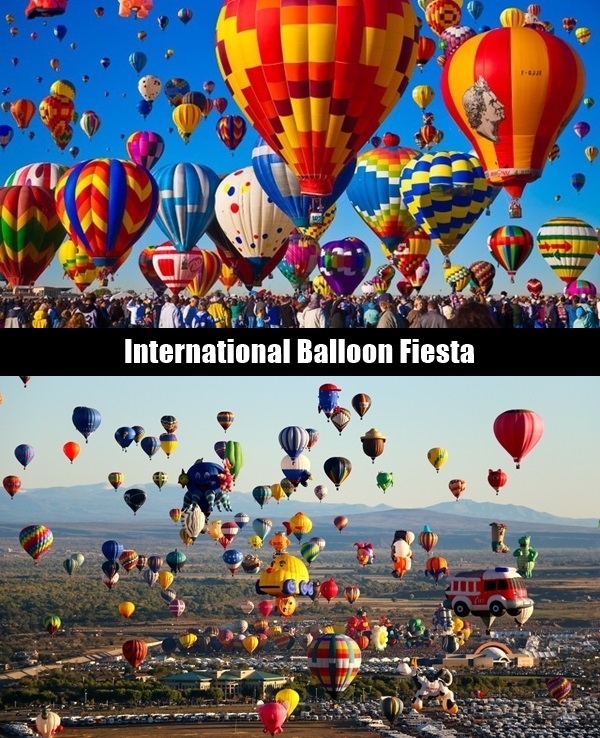 The Albuquerque international balloon festival is observed during the month of October in New Mexico, USA. It is the biggest balloon festival round the world. The Balloons paint the sky with colors when let off. 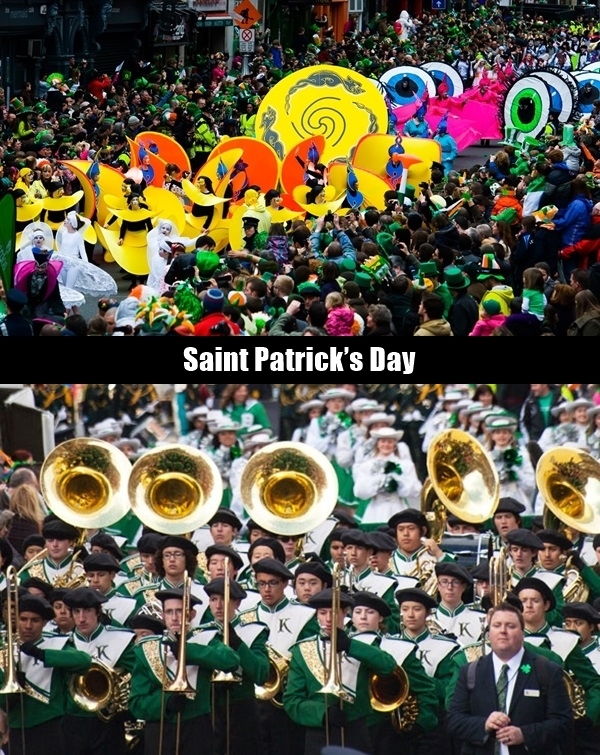 One of the must attend festivals around the world is the religious and cultural holiday of Ireland. Every year on 17th march, the Saint Patrick’s Day is celebrated which means celebration of culture, Christianity and heritage in Ireland. Everybody is seen wearing Green on this particular day.